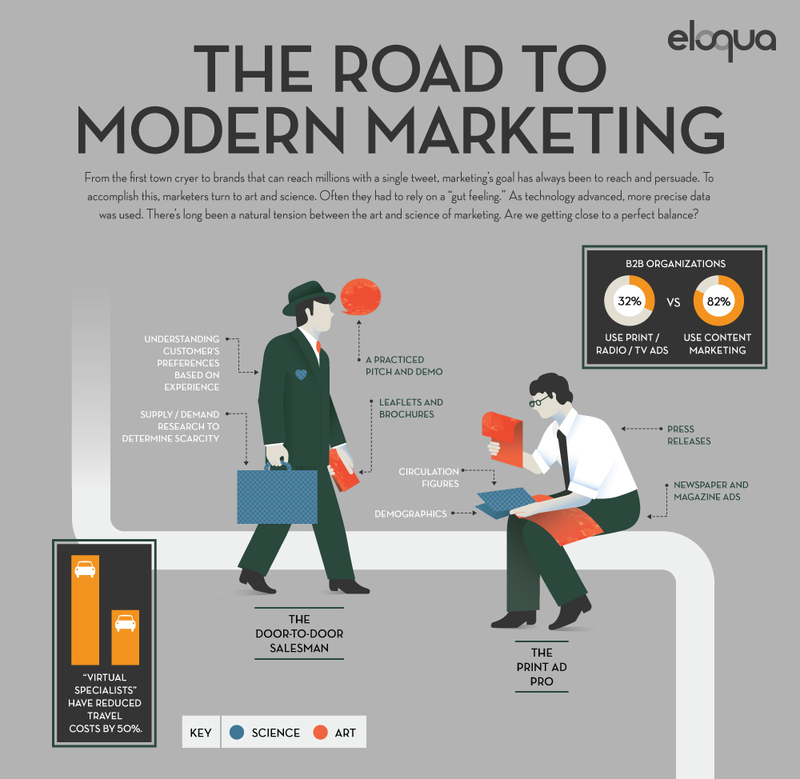 In this infographic exploring the tensions between art and science in shaping the modern marketer, Eloqua, our favorite B2B content marketers, again partnered with JESS3, aiming to build buzz around their annual conference, "Eloqua Experience":http://www.eloquaexperience.com/. 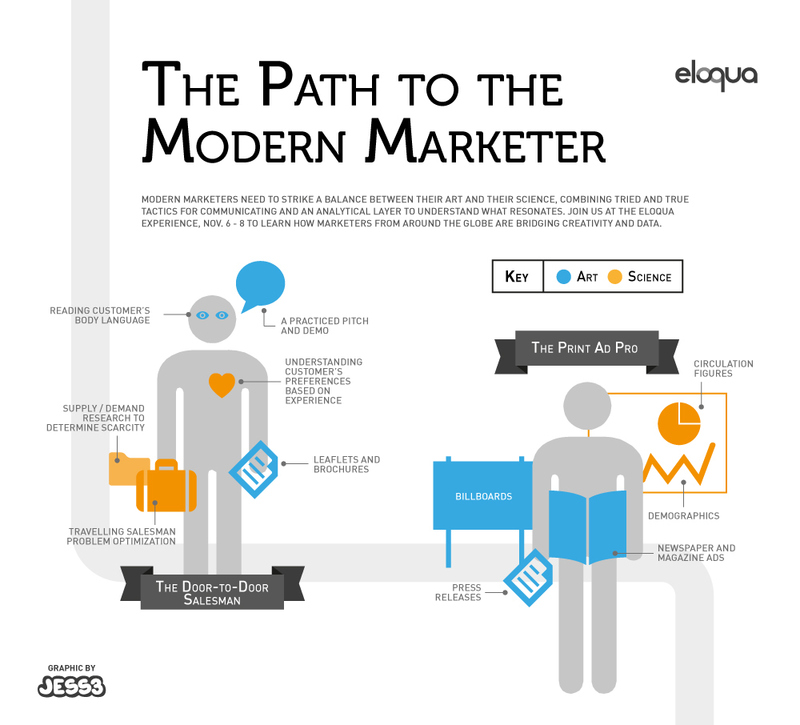 Using Eloqua’s playful, humanistic, and fearless creative style, JESS3 created an infographic that not only told a unique and timely story, but was also beautiful and engaging. Illustrated "personas" show the evolution in marketing, and through the use of color and texture, highlight the balancing act between art and science that marketers have always had to pull off in their craft.